Hi Katherine! Congratulations on the premiere of your short film January Hymn. At The Movie Waffler we enjoyed it a great deal. I wonder if you could talk a bit about the genesis of the film. I notice that it was supported by the Irish Film Board’s Signature scheme, for example. 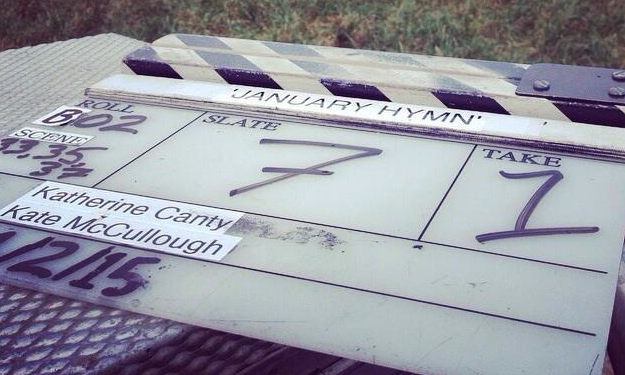 Could you elaborate on January Hymn’s journey to the screen? Thank you very much! I started writing what would become January Hymn during the summer of 2013 while I was editing my Masters grad film, so by the time I submitted it to the Irish Film Board in September 2014 it had really evolved a lot. Just before I returned to Ireland in November 2014 I'd been working in London, running on commercial shoots for no money, so working on the script for January Hymn and preparing the application for Signatures helped me keep things in perspective. A lot of the productions I ran on were very much "the boys' club" and that was quite alienating, so it was important for me not to lose sight of what I was working towards. I remember picking up lunch for one of my bosses one afternoon in Soho, with the food in one hand and my phone in the other, emailing people about finding a producer for the script. As I've said, I was really alienated by my experience with production work in London. I read an interview with Werner Herzog where he said that if you want to make films, don't get stuck working as a secretary in a production company, get some other kind of job where you can actually rack up some experiences. So I decided I was finished running on shoots or researching for pitches for no money while paying over £600 a month on rent in London, and got a job as a waitress, and grafted. It was exhausting, as anyone who has worked in service will tell you. So at 27, after graduating with a distinction from art school, I was a broke waitress in London. I'm really glad I had that experience though. Unpaid interning should be illegal. So that November I headed home to re-evaluate things and wait for news on whether I'd get Signatures or not. And I did, and it was funny because there was no "oh wow" moment, my producer Tanja and I just immediately started work on the production. I had no idea about how sought after the scheme was, because I'd never dealt with anything like that before. I just focussed on refining the script and preparing the application, and never stopped to think that it wouldn't happen. There was no time for that! I found the film’s use of nature especially striking, with deeply evocative shots of swaying trees and windswept landscapes creating a real sense of grief, but also of a nature that is imperious and much bigger than, I suppose, us mere mortals. The weather is a starring feature of January Hymn, and one which would not perform to demand! How did you and cinematographer Kate McCullough go about capturing such poetic shots? It's funny that you ask me that actually. The weather really stressed me out. January Hymn was actually a huge project for a short and we couldn't get all the exterior scenes shot during principal photography. We needed a cloudy afternoon and a dramatic sunset for the exterior scenes in the latter part of the film. Somehow, we got both, but it was very touch and go. I still feel like someone was looking out for me that day, if you know what I mean. We were so lucky to get what we needed, and on the last day of shooting pick ups. Your main actress Niamh Algar is impressive as Clara, a girl returning home on the anniversary of her father’s death. In a devastatingly subtle presentation, Algar is the emotional heart of the movie; the desperate restrained sadness of the film playing in various nuance from her performance. How did you go about casting the part of Clara? What was it like preparing and guiding Niamh through the role? The casting process for Clara was really important because I was looking for something very particular. I couldn't say exactly what it was I wanted but I knew exactly what I didn't want, so when I saw Niamh's show reel tape, where she's doing a scene from Inside Llewyn Davis, I immediately knew that I would cast her. I felt like Clara was such a particular role that I could only cast her based on instinct. I don't think anyone else could have done what Niamh did with that role. In terms of rehearsal, because it was such a demanding part, I had to make sure to locate Niamh within the story and ensure she had enough time and space to establish her relationship with it so she would know exactly where she was at all times during the shoot. We constructed a "bridge" if you like, between my relationship to the story and Niamh's. There's nothing I would change about any of the performances in January Hymn. For a first professional project I was incredibly fortunate with my cast. Performance is the absolute most important thing for me in my work, once the script is complete. Rehearsal time and an open dialogue with cast are essential. I identify very much as an actor's director. Although it isn’t a horror film per se, when I viewed January Hymn I was struck by the mature and elegiac treatment that the film has of death and loss. I wonder if you would ever be tempted to direct a more thoughtful type of horror film? Are there trace elements of horror in January Hymn (the sound of the train is almost a jump scare!)? As a teenager I watched a lot of horror films, and I was particularly interested in J-horror. I was really struck by Kiyoshi Kurosawa's Kairo (Pulse), for example. That film was quite a departure from films like Hellraiser or The Texas Chain Saw Massacre. The stylistic inclination to borrow from the horror genre is something I started noticing in my practice while I was designing the sound for my MA film. I think fear and anxiety are not black and white. They're something quite nuanced and so taking elements usually associated with horror films and subverting them in a more thoughtful, "greyer" context can be very impactful. I would be very interested in directing a horror film, I think I'd knock it out of the park! So that's an invitation to anyone who's looking for a female director for their horror script! I don't just talk the talk! Ha! January Hymn is on the festival circuit, playing at Turkey, Albania, London, Missouri and Texas this month . But if you could select two pre-existing films to play on a bill with January Hymn, one either side, what would they be and why would you choose them? That's a really good question! Probably Pat Collins' Silence and Jonathan Glazer's Under the Skin, two really important films for me. It kind of bums me out that I'm not naming two female directors, but that's my own fault. Silence is incredibly poetic and masterful, and makes a big impact without any bells or whistles. A really striking meditation on the idea of home, I feel. Probably my favourite Irish film so far. And Under the Skin is really important to me too. I went to see it by myself in the Vue cinema in Angel in London. I remember feeling so excited (I don't often feel excited about films). I was an unpaid intern in London, chipping away at getting January Hymn made, and watching such a left of field film in a mainstream cinema was such an important moment for me. What a fabulous piece of work. Strange and thoughtful. I think that January Hymn is very left of field too, so I think those two pieces of work would be appropriate choices. Actually, I must include Chantal Akerman's last film, No Home Movie. I saw that in a cinema over the summer, and I was so struck by this feeling of stillness when her name appeared in simple black and white at the beginning of the film. I found it a very stirring but also somehow restful film. The way she puts the story together is so masterfully simple, it seems to acknowledge the impossibility of relating her mother's story, and thereby finds a way to convey it. That's how I feel about January Hymn too. 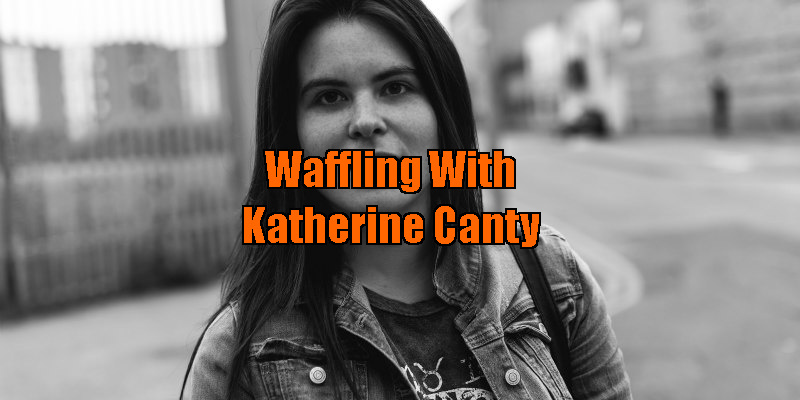 Thanks Katherine! Good luck with January Hymn, and with all of your future projects.